Dakota’s muscles had deteriorated to the point where he needed constant help at home and couldn’t perform the most routine activities without feeling exhausted. What’s worse, his physicians told him that he his chances for recovering normal functioning were practically nil. Refusing to accept the negative prognosis and taking matters into his own hands, Dakota turned to the team at Ability Rehabilitation. Muscular dystrophy is a group of more than 30 hereditary and genetic diseases characterized by progressive weakness and loss of muscle mass. The muscle deterioration, which in some forms of the disease can affect the heart and other organs, is caused by genetic mutations that block the production of healthy proteins needed to grow healthy muscle. Duchenne muscular dystrophy (DMD) – the most prevalent type of MD affecting almost half of all patients. It manifests only in males and appears between the ages of 2 and 6. Becker’s muscular dystrophy (BMD) – usually noticeable at adolescence. Myotonic muscular dystrophy – generally affects adults (men and women) between the ages of 20 to 30. Limb-girdle – appears in teens to early adulthood (males and females) and involves progressive weakness in the joints. Congenital muscular dystrophy (CMD) – noticeable at birth. Signs of muscle weakness can be seen by age 3, beginning in the hip, pelvic, thigh, and shoulder muscles, and later manifesting in the muscles of the arms, legs, and torso. By adolescence, the heart and breathing muscles can also be affected. There are no cures for muscular dystrophy. Some gene therapies are currently being trialed to combat the disease. 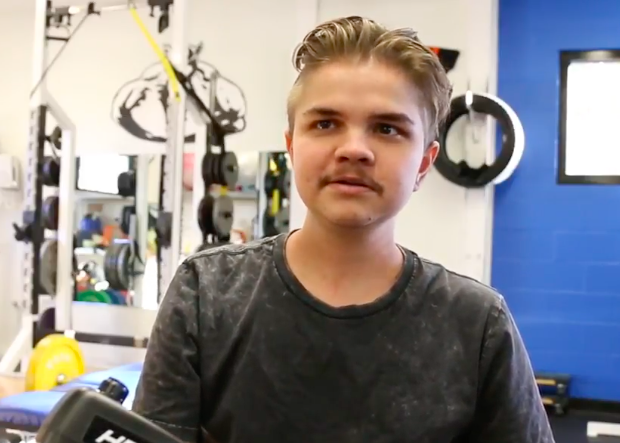 Despite the odds and the adverse prognosis given by his doctors, Dakota persevered in his rehabilitation efforts, encouraged by the gradual yet consistent results he witnessed through his rehabilitation program. Grateful for the success of his rehabilitation journey, Dakota wishes for others to experience the same positive and life-enhancing results. “I would recommend anyone to come here and get help for an injury they had or who are just trying to get their strength back or anything like that,” he says.